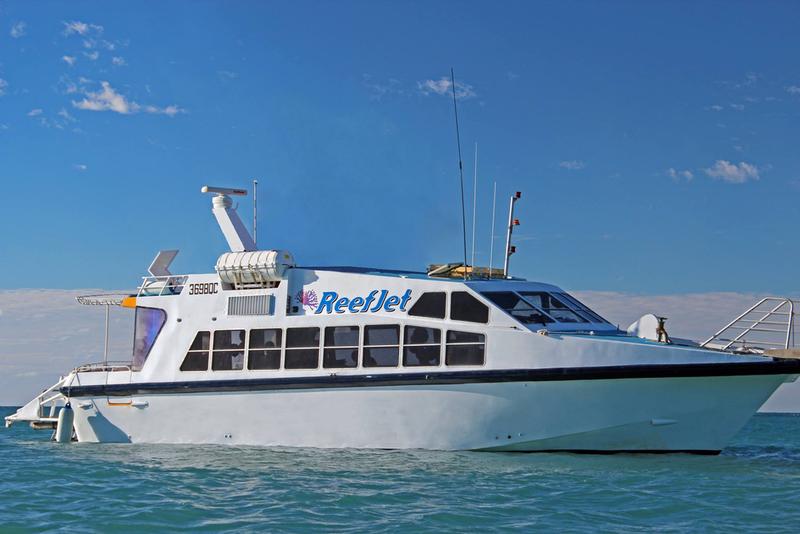 The Reef Jet is a 17 meter jet powered vessel with a water level viewing deck. It has a spacious cabin designed to carry up to 46 passengers. 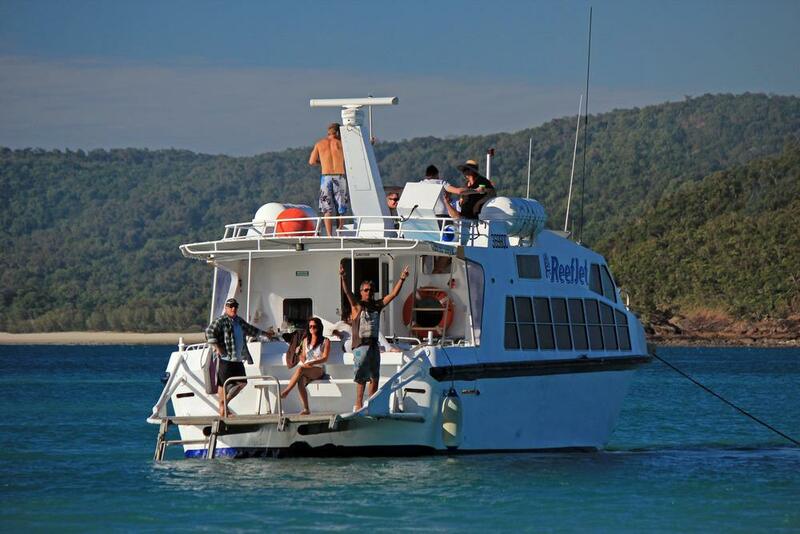 There are 2 viewing areas located outside the cabin which provide enough space for every passenger to have a comfortable experience while whale watching. It is capable of travelling at high speeds thanks to its single hull design. Other features include a high speed, high definition camera located at the front of the vessel which projects the view onto a TV inside the cabin. This feature simplifies whale finding and following on top of acting as an important safety precaution. It includes basic food preparation facilities capable of providing morning/afternoon tea as well as toilet facilities. A vessel of this size is not intimidating to whales which increases the chance of a close encounter on your whale watching tour. The jet propulsion system installed on the vessel is completely safe for marine life due to the absence of propeller blades.